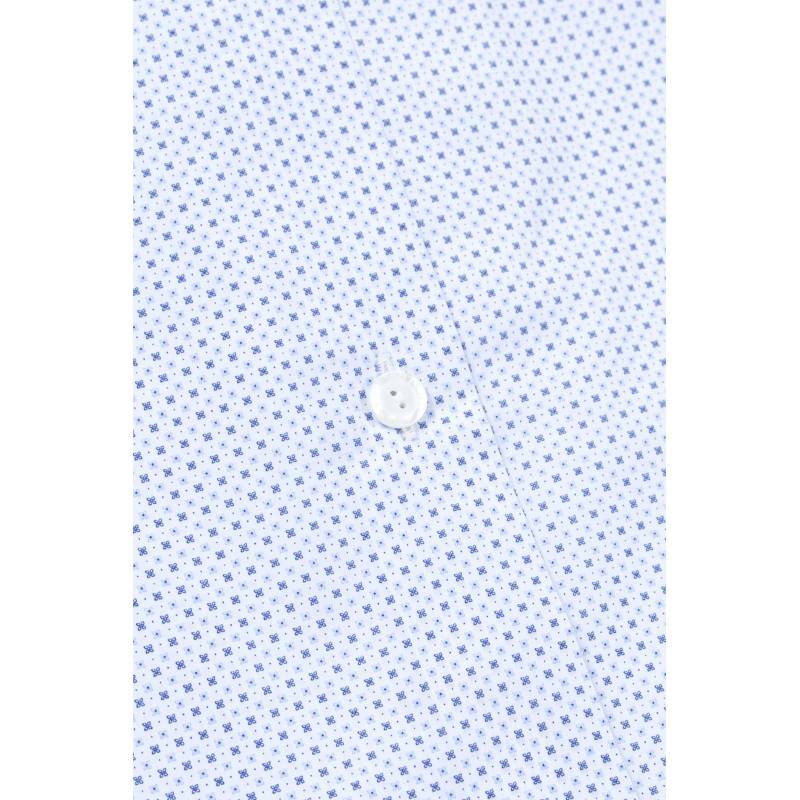 The Amalfi shirt is a new piece of the Spring/Summer 17. 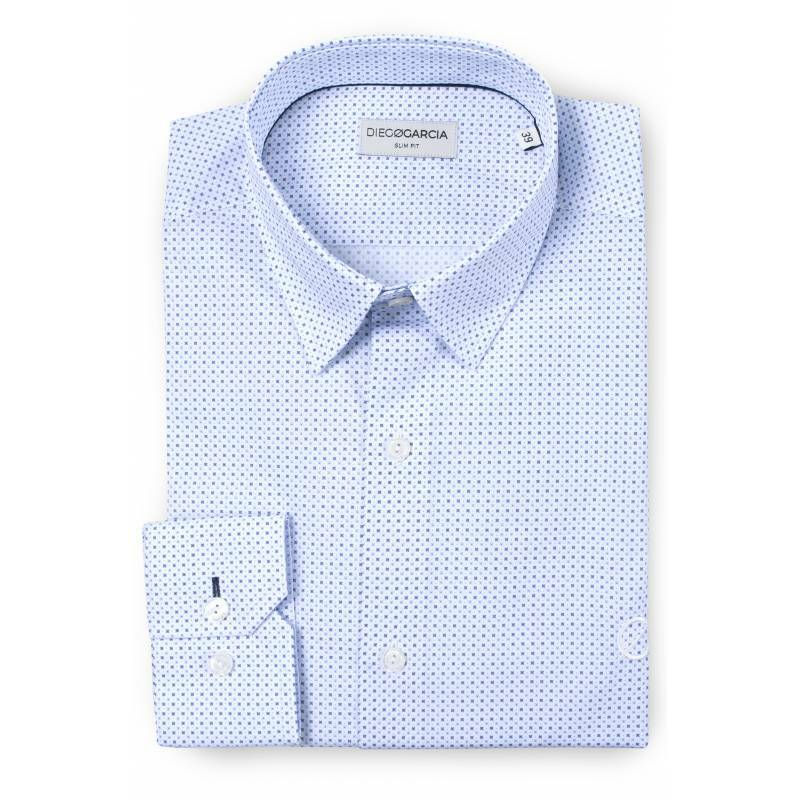 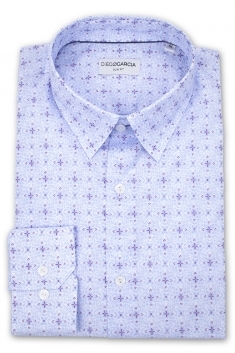 It finds its originality in its refined blue and mauve geometric prints. 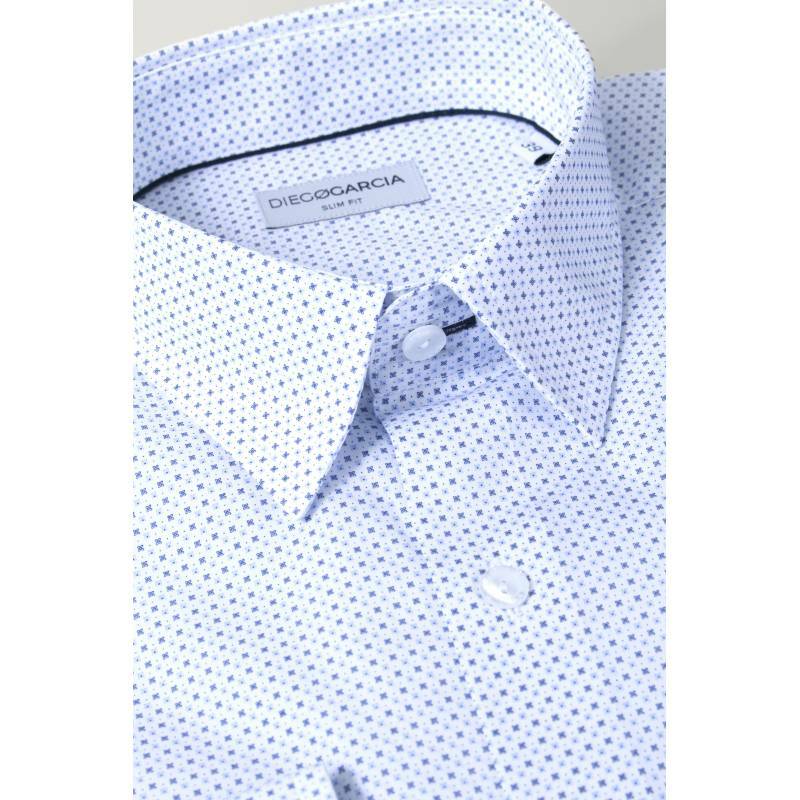 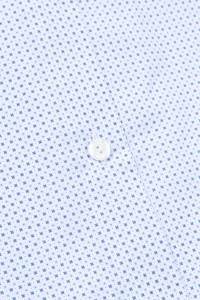 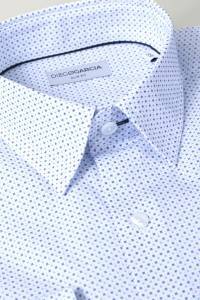 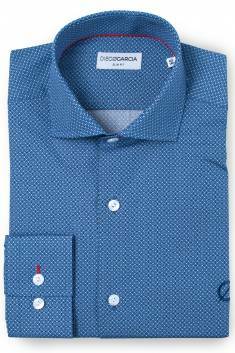 It is characterized by an Italian collar and its embroidery detail on the chest. 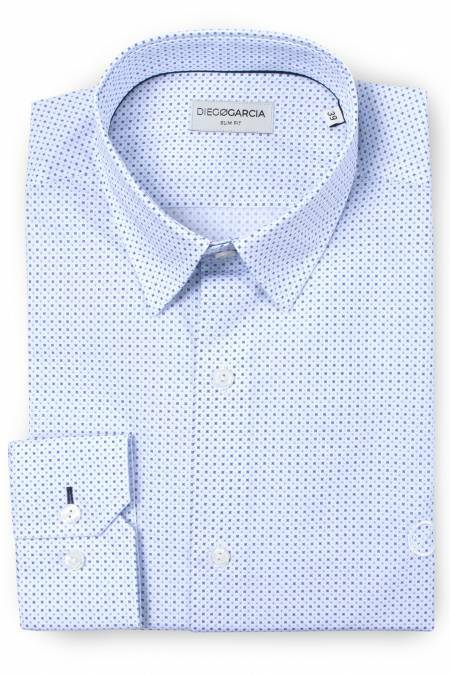 It also has a blue collar ribbon and blue collar and cuffs' overstitchings.